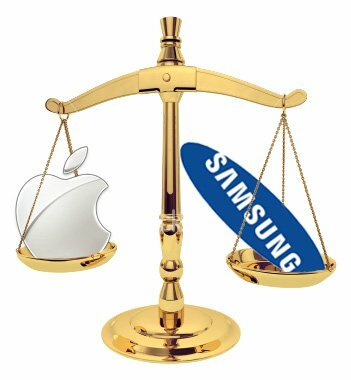 Having agreed to pay Apple more than half a billion dollars in damages for patent infringement, Samsung earlier this week filed an appeal with the Supreme Court in the USA. At stake is a principle that has the potential to have an impact well beyond the battle between these two corporate giants. The focus is on design patents – that is how a product looks – in contrast to utility patents which cover the way that a product functions. 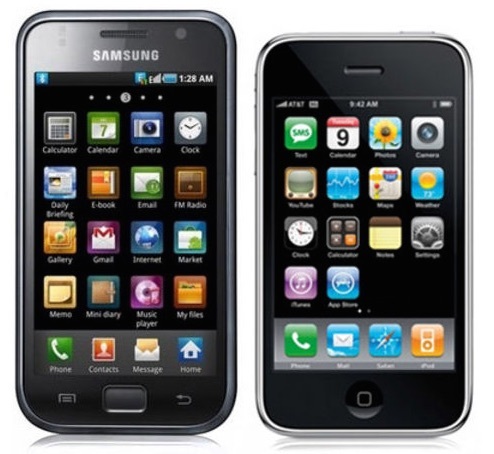 Apple has argued in the past that Samsung infringed three of its design patents which embodied the essence of the original iPhone – how its user interface looked, the rectangular display as well as its rounded shape and flat front (above right). Samsung is challenging the legal framework for design patents, arguing this was largely influenced by 18th and 19th century laws intended to protect the design of items such as fireplace grates and carpets. This was the era of Thomas Jefferson who had a great love for invention and played a critical role in the establishment of the United States Patent and Trademark Office, serving as the country’s first patent examiner. Apple prides itself on the stylish design of its products and it’s no surprise that named inventors on two of the disputed patents include the late Steve Jobs and the company’s Chief Design Officer, Jonathan Ive. According to Apple Samsung deliberately and consciously copied the iPhone because the Korean company was facing a crisis of design. The Supreme Court has not yet decided whether to take up Samsung’s appeal but, whatever the outcome, design patents will undoubtedly receive more legal attention in future. At CapeRay we recognize the importance of patenting our ideas. Earlier this year our industrial designer John Harverson received a US design patent (D724,735) for the floating handle in our Soteria system, while in July we were awarded a UK utility patent (GB2509193) for our novel method to implement dual-modality imaging. Irrespective of the outcome of Apple vs Samsung, we believe the protection provided by patents is an incentive to innovate.